For someone who spends much of her time trend-hunting, it's interesting how few trends actually translate, or find their way, into my own wardrobe. I often swerve the big ones (like the kind you'll find in our S/S19 trend report) not because I don't like them, or can't imagine myself wearing them, but I've been writing about them for so long already that I'm too bored to even go there. It's a shame, really—I'd like to feel enthusiastic about leopard print or be reaching for something to jolt my closet into the new, but I can't help gravitating towards those smaller, less obvious trends that are bubbling up. Microtrends are my personal kryptonite—my wallet can buckle under their force—because there's something really exciting about owning an item that feels a little more unique than your average. Perhaps it's a vintage or secondhand piece that's taking off in my Insta circle (diamanté belts, currently) or a trend being sparked by a smaller startup brand (see the below penchant I'm now feeling due to a blouse from a niche French label). These are the trends outside of the trends, and they might just pique your interest too. Silk (and synthetic) satin fabrics made a grand return for 2018, being used for everyday staples rather than the fancy partywear you would usually associate with them. As such, the trend was bound to move off in different tangents, and the route I'd like to go down this year is with a more slubby, raw-looking, shantung-style silk. Once the primary fabric of jazzy 1980s cocktail dresses and prom gowns (as such, it'll be a good thing to track down on eBay, Depop or Etsy), this has been overhauled by cool brands like Maison Cleo (above) for OTT blouses or Deitas (a new Swedish label) for wearable midi dresses. It started with a huge influx of every kind of animal print in the summer of 2018, and now the humble cow may be racing the leopard to fashion's finishing line this year. You can't "hide" from it; this is even happening at Mango. From Mariah Carey to Mis-Teeq, a rhinestone or diamanté belt was essential fodder for anyone fab-u-lous in the noughties. They're now back, and rather than being worn with a low-slung skirt or tight-fitting dress, you'll find cool girls across the globe adding them to high-waisted mom jeans. Victoria Beckham knew the leg-lengthening powers of split-front pants before the rest of us. 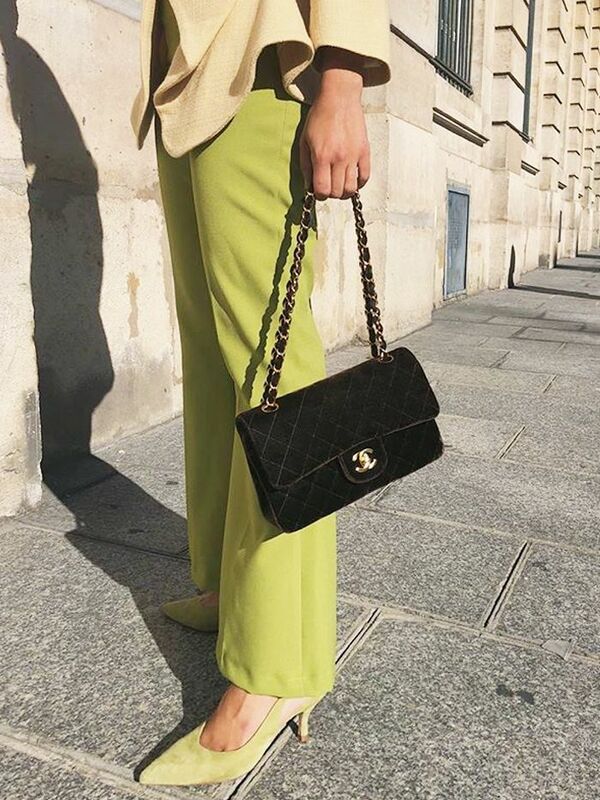 Allowing you to have the effect of a skinny bootcut, only with a little more design credibility, these are the trousers that will show off all of your favourite shoes when you aren't ready to exposure your ankles yet. And if you want a free fashion hack, just cut the inner side-seam of any skinny jeans you're almost done with. Win win win. 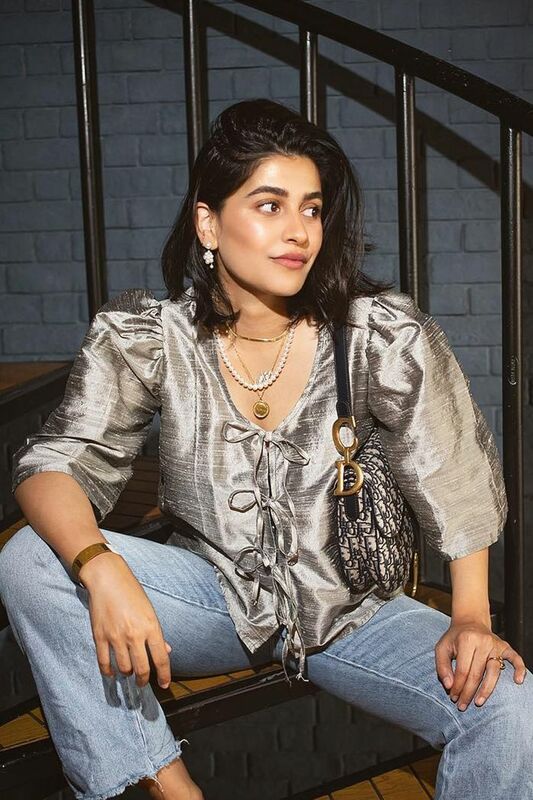 First came skinny chain anklets, then shells, then decorative pearls and sparkly crystals… This jewellery trend started to really establish its place in the fashion world during party season, but I predict it will get bigger come summertime. Thanks to Prada, bucket hats started to make a very noticeable comeback on the streets of Milan Fashion Week. The trend had already taken over streetwear (in more basic guises than the brand's neon checks), and while it may still take a while for the mass market to catch on, winter has seen many swapping beanies for buckets of all colours, prints and price points. From tubular cylinders to triangles and every possible geometric silhouette in-between, bags from smaller brands are taking quite bizarre forms these days. Having never been one for functionality (I hate a big tote), I'm into it. From Jacquemus's artfully scarf-wrapped barely there skirts through to actual sarongs being worn again on good-looking holidays we've seen on Insta recently, this seems like one of those small trends that could end up being the next slip skirt, if you know what I mean. Scoop-neck tops and jumpers have literally not been in for such a long time that they were due a comeback, considering everything from their era has been plundered for inspiration. I particularly like the idea of a form-fitting scoop-neck bodysuit, and I don't even know why. Just. Watch. This. Space. If your next dress purchase doesn't resemble something that's either a tent or a piece that someone on the Little House on the Prairie cast would wear, then this trend for really big dresses (or RBDs as I'm going to start calling them for short) hasn't hit your feed yet. It will in time, and with it will come ditsy florals, ruffles, bow-ties and much more to make a big-baby smock even more fun to swoosh around in. Mint, pistachio, sage… Call it what you will, shades of green are trending. Perhaps one of the most challenging ways this colour trend has been interpreted is via trouser suits. They have already been adopted by influencers in Europe and the U.S. (I'm sure many other continents are involved too), with girls buying both vintage styles and off-the-peg options to suit, depending on what cut you're looking for. Tie-dye is a sub-section to S/S 19's surf culture trend, but it's already taking off in one particular department: T-shirts. From vintage holiday-style oversized versions to the super-skinny fit of Proenza Schouler's jersey shell tops, eds are stocking up. Prepare to clang around at your desk: Bangles are really back. Keep them simple and stacked for max '19 effect. Hosiery is now the finishing touch to many a bold outfit, rather than an afterthought. Designer labels have found yet another canvas for their logos, with Fendi, Balenciaga and more taking tights to the next branding levels. From high-octane party looks to calmer workwear outfits, there are many ways you can step into the trend without feeling silly. Up next, the 2019 shoe trend guide.